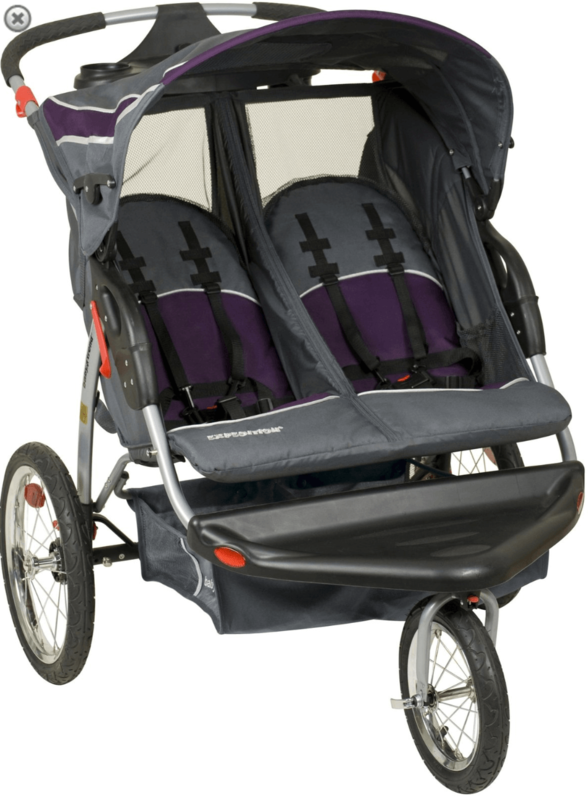 If you are a parent of multiple children, the Baby Trend Expedition double jogger is a must. 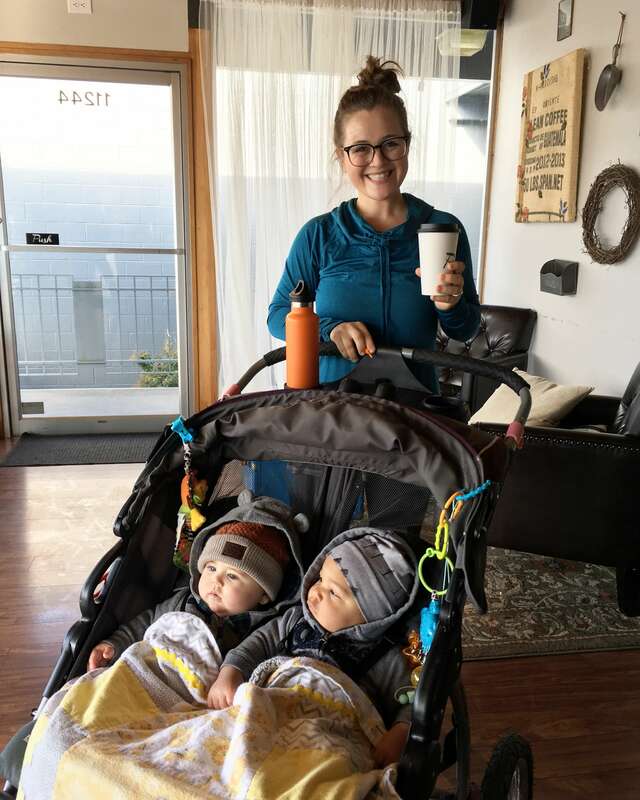 We have two babies, nearly 5 months apart, and have been using the Baby Trend Expedition Double Jogger Elixer for almost a year. Whether you are a parent of twins, of two close in age, or any two children under 50 pounds each, you need this stroller. Especially if you are a jogger. However, this stroller-jogger is not just for people who run. 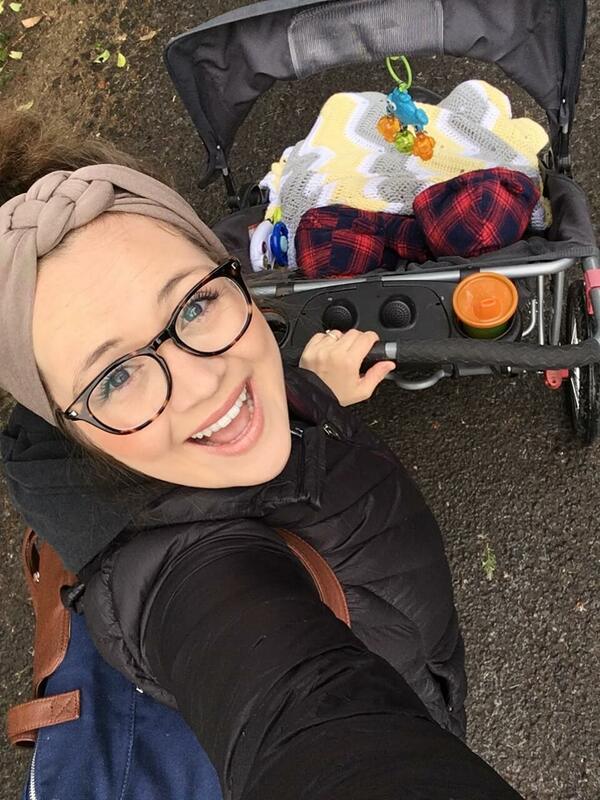 This is a real-life review from a mama who loves to run, but also loves to use her stroller at the store or on walks, and who is not always able to use her TwinGo Carrier (read my review here). OVERALL DO YOU RECOMMEND THIS PRODUCT? Aside from this stroller being a jogger, the side-by-side seats are easily my favorite feature. Many double stroller seatings are front and back. 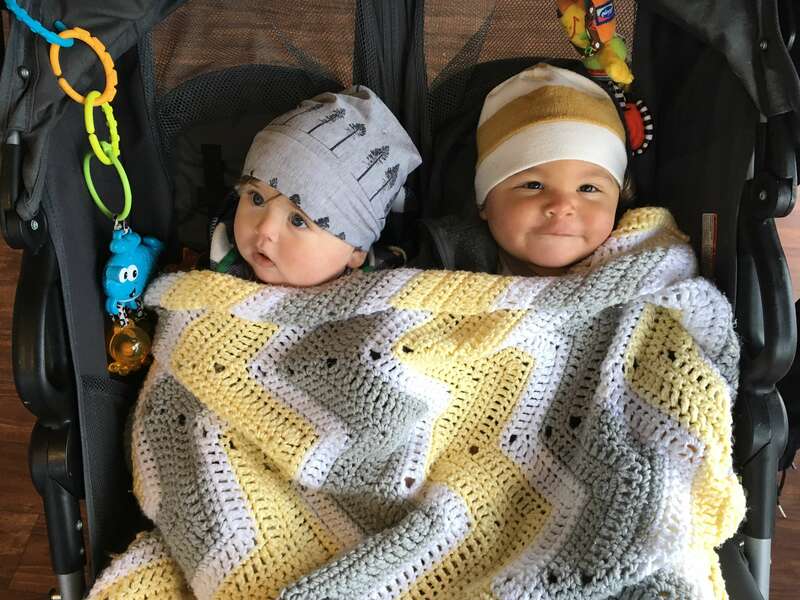 This side-by-side seating allows my sweet little men to hold hands, share snacks, and simply continue building their sibling bond! I cannot tell you how many times they have held hands while we stroll. The pneumatic bicycle tires may very well be my second favorite feature! This baby trend double jogger is a wide piece of equipment, taking up most of the sidewalk. I do not like to shove the oncoming traffic into the street or off the sidewalk; the bicycle tires make it not only possible but EASY to walk halfway on the sidewalk and halfway in the grass/gravel. Alternatively, entirely in the lawn. We have taken this stroller through some fields, gravel, and other terrains other than paved cement and it has done wonderfully. I love the durability. *But be sure to read on to learn our trick for the front wheel. This jogger has a million pockets. Okay, not really, but that is what it feels like! I often walk the mile to our Safeway for some fresh air but always end up purchasing a few things for snacks or dinner, as well as a Starbucks iced coffee. Our little family of four frequently takes a stroll down to the store or local panaderia and can grocery shop without the fear of carrying all of our groceries home. This little jogger (that is not so little) has two big baskets beneath each of our boys' seats and two pockets connected to the back. I am a photographer, and my boys often join me for photo shoots; I can use their stroller to help carry props and equipment! I can throw some diapers and wipes, a change of clothes; it can be like your diaper bag when you are out! The parent tray with cup holders and covered storage compartment: this little feature is a gem. I throw my wallet, my keys, a snack for me and the boys into that little-covered storage compartment and we go. It is such a small and minor feature but so helpful. I, of course, love being able to set my water bottle in a cupholder and a coffee OR a sippy-cup for the boys. It is entirely easy to fold and store. This jogger, when undone and out and ready to use, is giant and heavy. Looking at it, you may be fearful that it would be difficult to fold up and store. What if you are at the store alone and don't feel like you can store it back in your car because it is so heavy? Fear not, parent! This double jogger is so easy to fold in half and left in your car or storage area. I cannot express this enough. I am barely over 5 foot tall, and I can take it down and toss it into the hatchback of our Tuscon in 30 seconds or less. The ratcheting shade canopy is multi-functional. I use it for shade and the sun, for rain cover, and also to attach little dangly toys for my boys to look at and play with when they need. We love it. I also use it to store my jacket across if the baskets are full of room! I only pull it back against the compartment tray and open it slightly, enabling me to store a few things there as needed. The front swivel wheel, or what my husband refers to as the wobble wheel of death. 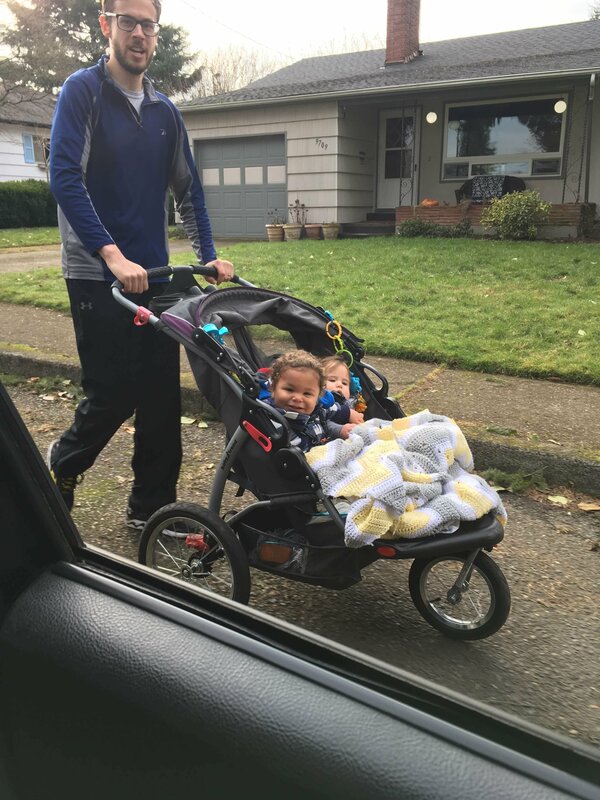 When we first started using this jogger, it would only not wobble when we had the front wheel locked; so when it was unlocked the entire stroller shook with every step and increasingly as you went faster. My husband unscrewed the front wheel to find a washer the size of a half dollar, went down to Home Depot and replaced that metal washer with a rubber washer; it costs about $0.50. Now it works perfectly! We no longer have a wobble wheel of death. He tightens it every couple months. The speakers are useless. They are a great and cool idea. I was more stoked about them at first, but soon realized they are not all that loud. I find that if I sit my phone in the cup holder, it amplifies the music louder than the speakers could ever dream to. Cool idea, though! Due to the nature of this extremely wide stroller, being a side-by-side seater (which is my favorite feature), it cannot fit through standard doors. To me, it is worth this small sacrifice to have my boys sitting side-by-side comfortably. Most restaurants and stores have doors that are plenty big enough. You simply cannot take it into your home - our home is too small anyways! The only time I ran into an issue was just the other day; I walked home with my friend and her son; they invited us into their home, and I had to leave the stroller out front instead of bringing it in. But really? That is nothing compared to the awesomeness of it. YES! If you couldn't tell, I love it! The three top issues we have found as a family are easily fixed, canceled out, or worth it. "This Baby Trend Expedition Double Jogger Elixer is amazing." I have many people comment on how compact it is, how durable it is, and how hip it looks. Many passer-bys say, "That's a cool stroller!" And I nod and think, yeah, yeah it is! I highly recommend the Baby Trend Expedition Double Jogger Elixer.